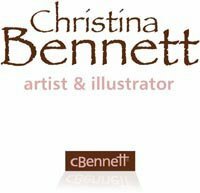 Known to most as Chrissie, I'm an artist working from my home studio in Stone, Staffordshire, England. I've previously worked both employed and self-employed, in the design & advertising industry as a graphic designer/typographer. From time to time. I continue to assist my husband, Noel as a partner in our design consultancy business, Creative Eye. Although most of my time these days is taken up as an artist/illustrator or sharing my passion for pastels as a tutor. I'm possibly best known for my pet portraits but when I'm not working on a pet portrait or preparing demo pieces for my art classes I like to mix it up a bit! I enjoy painting land/seascapes, people, flower studies and still-life subjects too. Although I've used many other mediums, I always come back to using soft pastels. I just love their versatility, their depth of colour and the level of detail I manage to get when using them. Though most commissions tend to be of pet portraits, I'll happily accept commissions for pastel paintings of most subjects. Working from your chosen photographs or from life, I'll paint people, pet or home portraits, still-life studies, scenes from nature or a favourite view. Why not challenge me with your own requests?! My clients are always delighted with the finished paintings and have often made recommendations to their friends and family.